Our members London Met Uni & Joju Solar win! Home > News > Our members London Met Uni & Joju Solar win! Congratulations to London Met Uni and Joju Solar for their success at the Solar Power Portal awards last night. They definitely deserve some celebratory drinks at the next ISEP networking event! London Met University won the energy efficiency and CSR award. Their achievements were clearly proven when they met their 2009-2020 50% carbon reduction target four years early, helped by a wide range of innovative activities for students and staff. Projects like the student’s Gardening Club and beekeeping sessions on the roof are complemented by the Green Impact programme for staff. The green message is kept alive by giving everyone involved a sense of agency and achievement. Joju Solar won the award for best use of solar in a community project for their Big Community Summer. 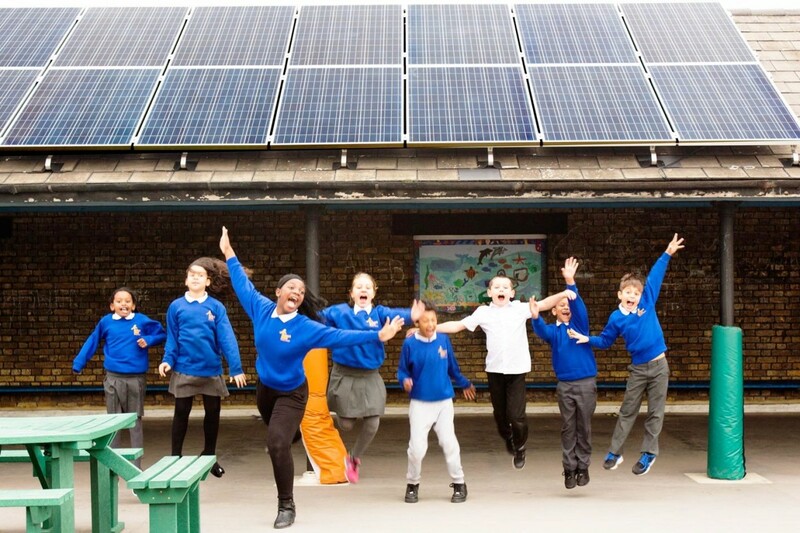 One of the most concentrated deployments of community energy in the UK, Joju Solar managed to install 2.5MW over 46 sites including 24 schools. It was all achieved in 10 weeks thanks to investment from nearly 1000 partners. Joju Solar installed our 2015 community project at Robert Blair school (pictured above) and it’s great to watch Joju go from strength to strength. The ceremony was hosted by Robert Llewellyn of Red Dwarf fame, though ISEP includes many fans of his Fully Charged show that explores electric vehicles and renewable energy.